Inspired by conversations on the FOOD52 Hotline, we're sharing tips and tricks that make navigating all of our kitchens easier and more fun. Today, we go back to the pantry-staple basics with a classic standby: rice. You must think we’ve lost all of our faith in your cooking. Every last drop. First, we accused you of not knowing the basics of pasta. Now rice? In terms of the chronology of your culinary education, rice may have even beat pasta to the stove. We swear we still trust you know your basics, and that if you invited us to dinner, we would come, gladly and in anticipation, even if rice was on the menu. Today, we’re just revisiting another staple. We’ve got rinsing, soaking, steaming, and fluffing to worry about, and that’s to say nothing of the myriad of different types. 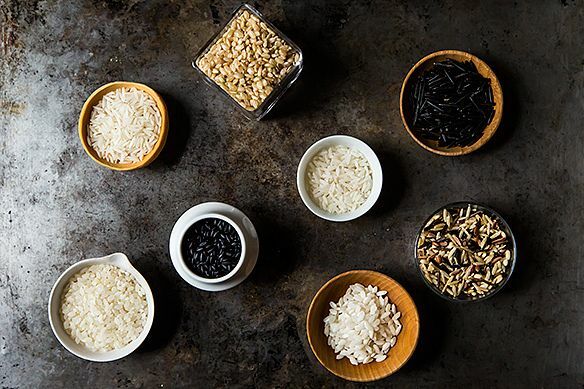 It’s enough to make us crazy -- or, in the world of Food52, it’s enough to make two unnamed staffers painstakingly dissect mixed rice blends for a photo shoot. And then write you a column. And it was so that you could accurately calculate your rice varietals. Long grain classifies rice grains that are at least three times long as they are wide, and everything less than this is medium grain. Short grain rice, though usually combined into the medium grain category, has grains that are less than twice as long as they are wide. Good news: even if you didn’t pass math with flying colors, the package will usually do the work for you. 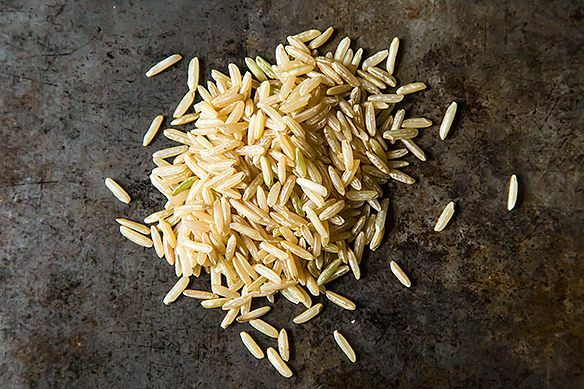 When it comes to rice, this is your workhorse -- it’s a standby all-purpose dish for soaking up stews, stir-fries, and for stocking the sides of plates. If you don’t have a bag in your pantry already, you’ll recognize it by its distinct, long grains and mild flavor. When using the absorption method (cooking rice with a set amount of water until that water is absorbed) with a 2:1 ratio, cooking time will run you about 15-20 minutes. Which is just enough time to whip up this hearty main. 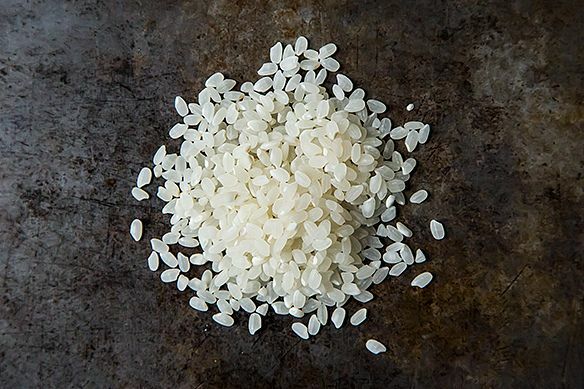 Another popular starchy blank slate, this rice is in many ways the same old friend to your stews, just with a shorter grain and a slightly denser, stickier texture. 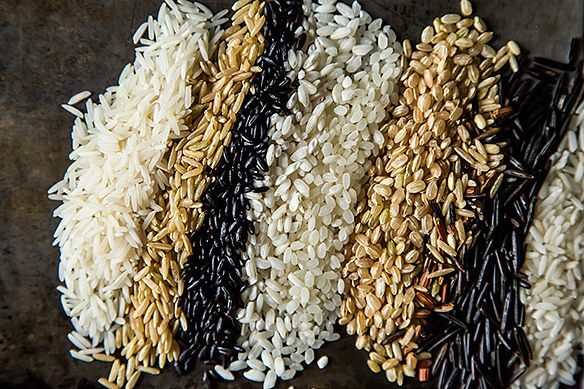 Brown rice is like the crunchy, hippie version of white rice. It’s how white rice begins, as the original unrefined whole grain, before the bran and the germ are removed. Because of this, it retains a lot more nutrients and a pleasantly nutty flavor, but also a much longer cooking time. Leave it to its devices on the stove for a full 40 minutes, and then use it to soak up your gumbo. The main difference here is texture: short-grain is much chewier than its longer sibling. For both, since the whole grain is left intact, it has a much shorter shelf life than all other rices. Instead of 1 to 3 years, brown rice can spoil in as little as 6 months -- store it in the refrigerator to help stall this process. Of all the rices, sushi rice might be the most by-the-book. It's got rules, hard and fast ones -- but they’re worth following. The short grain rice should always be rinsed for best results (until the water runs clear! ), and after cooking, it meets a traditional mixture of sugar, salt, and rice vinegar for seasoning. The most noticeable difference? It’s extremely sticky from its high starch content. Doesn’t its name make you want to steam it that much more? 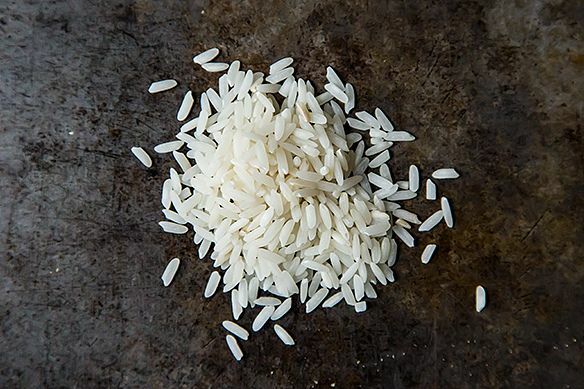 Before you do, we’re giving you a quick history lesson: legend has it that this rice was grown for the emperors of China. So, really, steam this, and you’ll be eating like a king. Who knew royalty had a thing for unmilled whole grains? Its nutty flavor works especially well in rice puddings, but it can take up to 60 minutes to cook. Soak it to cut the cooking time in half, and be sure to refrigerate all unused grains. 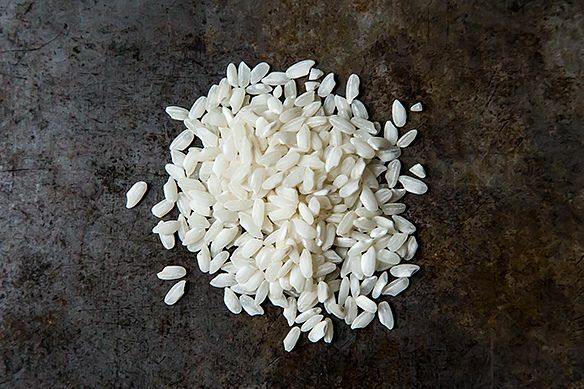 Other than having a festive name, Bomba rice has another thing going for it: unlike other rice that expands in width, when it absorbs liquid it expands lengthwise. It can also absorb up to three times its volume in liquid, which makes it perfect for -- you guessed it -- paella. Most use the rice exclusively for paella, but we’ll let you in on another secret: since it can absorb so much liquid, it’s really hard to overcook. We just found a new dinner party food for you. When this medium grain rice is stirred (and stirred and stirred) into liquid, it releases its starches to create a thickened sauce. (You know this sauce best by its broth, wine, and healthy dose of Parmesan cheese.) 25 minutes will usually release the grains’ starches and cook them to al dente. Use your leftovers for dessert -- risotto rice makes a mean rice pudding. 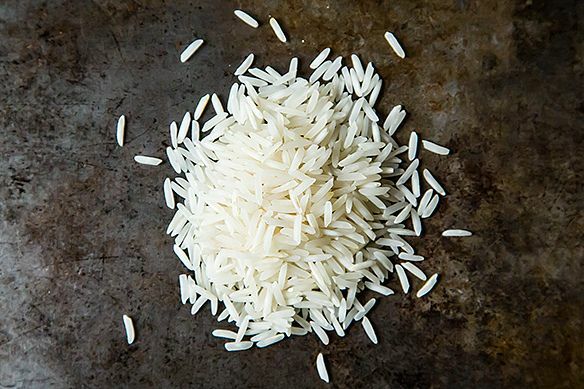 Jasmine rice, found in both white and brown varieties, is a long grain rice from Thailand that has a distinct, floral aroma. When cooked (about 20 minutes will do the trick), rice kernels stick together, making it a great choice for bulking up stir fries or lentil dishes. Always be sure to rinse this variety before cooking to remove the extra starch. In Sanskrit, Basmati means “fragrant one” -- cook using the absorption method for 20 minutes, and you’ll see why. These long grains have a slightly sweeter aroma and taste than your standard white rice. It comes in both brown and white, and is sometimes sold under the name Texmati. Fun fact: the best Basmatis are aged (some up to 2 years!) to concentrate their flavors. Aged, dehyrdated rices like these expand more during the cooking process, creating a longer, fluffier end product. Some swear by soaking this rice first -- let it sit for 2 hours in cold water, and cut the cooking time in half. Those beautiful, multi-colored, long grains of rice you love to pepper your pilafs with? Yeah, those aren’t actually rice at all. (How’d they sneak in here?) 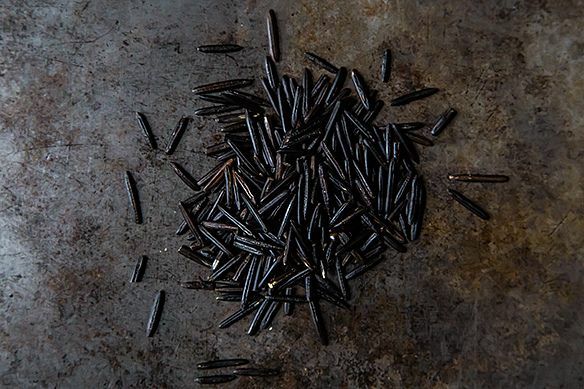 Wild rice refers to the seeds of marsh grass, which have a nutty flavor and distinctively split open when cooked. Be warned, it plays hard to get (though from its name, we wouldn’t expect anything else). Normally, it takes around an hour to cook. Set the table, check the rest of your meal, pour yourself a glass of wine -- by the time you’re done, it will be too. Stay tuned for next week, when we'll break down cooking methods for your precious grains. This I remember as a kid living in Thailand, but the rice in without water for 5 min's. This will like the rice be great, do not like it color that brown. Is sushi rice the same as short grain white rice? Or is sushi rice a type of short grain white? Please don't confuse the original Basmati with Texmati. There is a huge difference in the flavor and aroma. The best one can say about Texmati is that it is a slightly fragrant long-grain rice. Now that I make Nigella Lawson's Chicken Teriyaki with sushi rice al the time I have to get a rice cooker as well, rice is amazing through even if its not in sushi form. I strongly suggest that anyone who makes a lot of rice should purchase a rice cooker. Mine came with a great manual providing proper water to rice ratios and cooking times. Perfect rice every time!!! 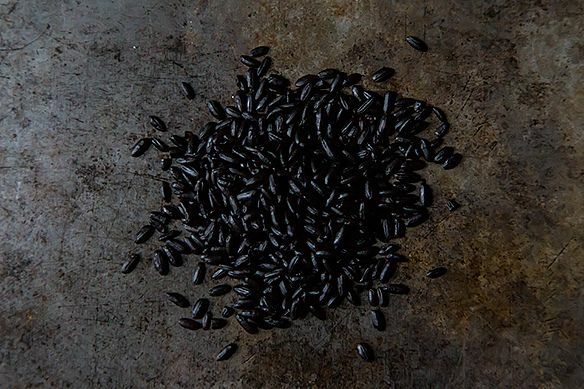 I never tried Black Forbidden rice. I'll have to add that to my bucket list! For a book, I think you can't do better than Seductions of Rice by Naomi Duguid and Jeffrey Alford. We're covering cooking rice next week, as the last line in the post states. Stay tuned! I'm looking forward to the upcoming article on cooking methods. I soak and sprout brown rice prior to cooking it (to reduce phytic acid, as well as to make the rice more tender and tasty), but haven't tried doing so with black or white rices. Will you talk about sprouting for different rice grains? We'll try to give a mention to all of the major methods out there -- and sprouting will be one of them!